When visiting London one of the not to be missed and most popular experiences is a traditional English afternoon tea at a top London hotel, with all the trimmings; freshly baked scones, Devonshire cream, fruit preserves, finely cut sandwiches and a wide selection of exotic teas. Booked separately prices vary and it can be a little expensive, however included with other attractions makes it much better value. For example here is a great tour including Buckingham Palace that opened to the public last week for the summer, combined with a splendid afternoon tea at the top hotel, The Grosvenor at Victoria. 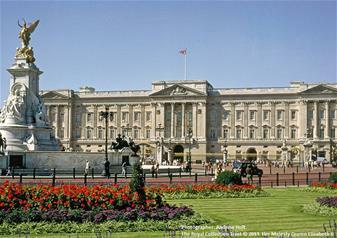 Special timed entry ensures a breathtaking visit to the official residence of Britain’s sovereigns since 1837. Open for just 8 weeks a year, viewing the State rooms is an opportunity not to be missed! Marvel at the splendour of the rooms, used on official occasions by The Queen to entertain her guests. Be dazzled by the beautiful ballroom and throne room, before ending your royal tour with a walk through the stunning South Garden. After your independent visit, you will be free to take your afternoon tea between 3pm – 4.30pm in the Grosvenor Hotel in Victoria. Traditional afternoon tea consists of a selection of finger sandwiches, scones served with clotted cream and preserves, small tea cakes and a choice of tea. Posted on July 29, 2015, in Afternoon Tea, Buckingham Palace, Cream Teas, Devonshire Cream, Fruit Preserves, Grosvenor House Hotel, Private Guided London Tours, Traditional Scones. Bookmark the permalink. Leave a comment.